Made with durable, stretch-woven fabric with a DWR (durable water repellent) finish that not only protects against the elements, but also on-the-go food and drink mishaps. 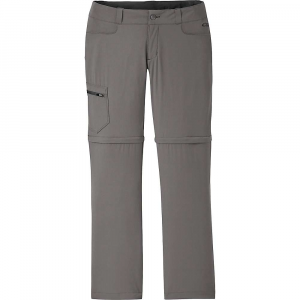 Travel friendly 4-pocket styling with an additional zipper secured drop-in on thigh. 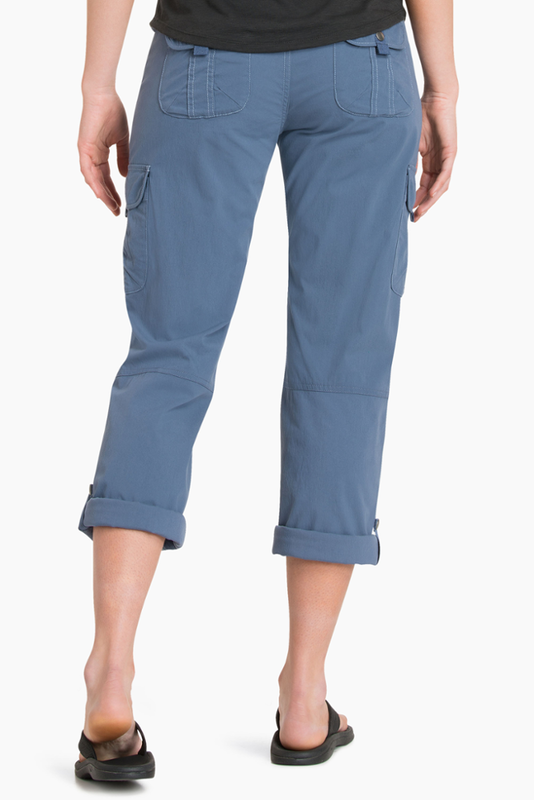 Whatever adventure you're headed out on, the Women's Patagonia Skyline Traveler Pants are a well-equipped hiking partner. 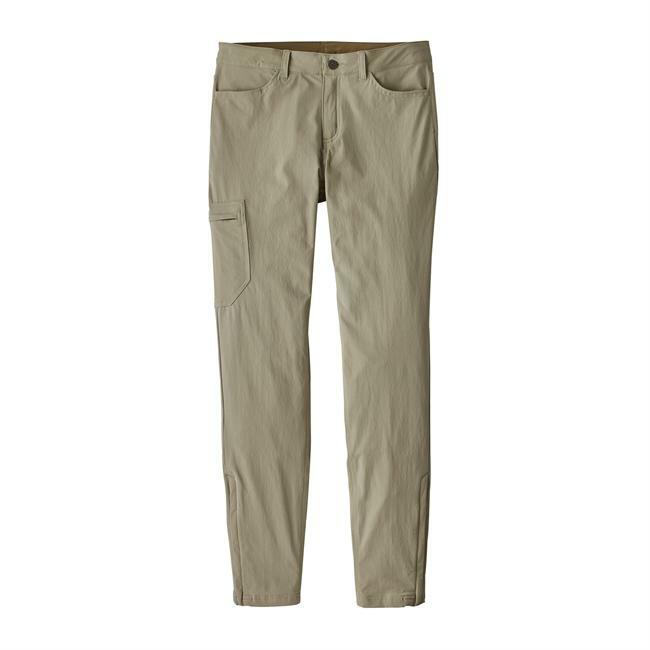 The nylon, spandex weave provides four-way stretch for battling steep ascents and bouldering problems, while the slim-leg cut looks great when you stop in town for a post-hike cheeseburger. The durable water-repellent treatment will shed light rain if clouds join you on the trail. 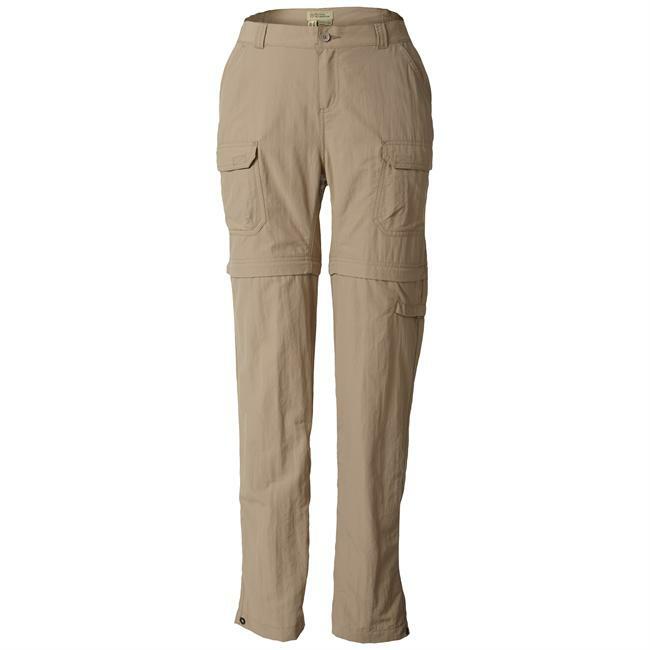 A zippered cargo pocket keeps your keys or phone safe on the trail, and zippered cuffs can be adjusted according to your chosen hiking boots.